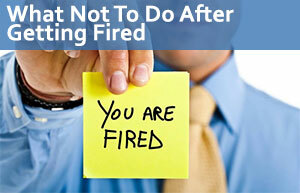 Retaliation and wrongful termination go hand in hand. Employees have a series of rights in the workplace. When they exercise these rights and face negative consequences from their employees for doing so, they are being retaliated against. Retaliation can come in the form of demotions, pay-cuts, schedule changes, increased scrutiny, verbal abuse, false performance reviews, and termination, for example. Termination is one of the most common forms of retaliation. If you suffered retaliation in the workplace that eventually led to termination, you likely have grounds to take action against your employer. There are approximately 145 million employees in the United States, 17.1 million of which are in California. Many of these employees will experience retaliation at some point in their work life. Retaliation should never be taken lightly – employees should hold their employers accountable for their actions. Retaliation is a major issue in workplaces around the country. Although there are many laws that make certain treatment of employees illegal, employers continue to terminate employees for exercising their rights in the workplace. Most of the laws above establish specific rights in the workplace. These laws also establish your right to report violations without fear of retaliation. The Whistleblower Protection Act, specifically, protects you from retaliation after reporting any activity in the workplace. In general, all employees should be aware of their rights in the workplace. You cannot be retaliated against for exercising your basic rights in the workplace. Unfortunately, retaliation is common in the workplace. All employment claims must go through employment agencies, such as the Equal Employment Opportunity Commission (EEOC). Besides providing employees with protection and guidance when treated unfairly in the workplace, the EEOC and similar employment agencies have proven to be helpful sources for employment statistics – especially statistics surrounding retaliation. In FY 2009, a total of 44% of claims filed with the EEOC were based on retaliation. A striking 45% of all retaliation claims were based on discrimination. In FY 2010, a total of 44% of claims filed with the EEOC were based on retaliation. About 53% of all retaliation claims were based on discrimination. In FY 2011, 44% of claims filed with the EEOC were based on retaliation. A low 34% of all retaliation claims were based on discrimination. In FY 2012, 47% of all claims filed with the EEOC were based on retaliation in the workplace. Of the retaliation claims, another 47% were based on discrimination. In FY 2013, 48% of claims filed through the EEOC were based on retaliation. Of the retaliation claims, 42% were based on discrimination. In FY 2014, a total of 37,955 claims were filed with the EEOC. In FY 2015, about 39,757 claims were filed with the EEOC. In FY 2016, there were 42,018 claims filed with the EEOC. In FY 2017, the number of claims filed with the EEOC dropped to 21,097. If the trends listed above are accurate, how many employees are filing retaliation claims? Employees who suffer retaliation in the workplace have quite a few options available to them in terms of taking action against their employers. There are at least three options available to employees – depending on the specific details of the situation. As an employee, you must be aware of your rights and the tools available to you to take action against your employer. Employees in the U.S. have the right to pursue retaliation charges with the Equal Employment Opportunity Commission (EEOC). The EEOC is a federal employment agency that is dedicated to enforcing federal employment laws and protecting employees from unfair treatment in the workplace. When employees are subject to retaliation in the place of work, they can contact the EEOC to file a formal complaint against their employers. The EEOC will thoroughly investigate the complaint to determine whether the employer’s action against the employee violated any employment laws. If the employer is found to be in violation of any employment laws, the EEOC will take action against the employer. Depending on the state in which employees suffered workplace retaliation, employees might have other options available to them. Specifically, if their state has an employment agency similar to the EEOC, employees will be able to file complaints through these state agencies. In California, for example, employees can pursue claims through the Department of Fair Employment and Housing (DFEH). The DFEH is the state’s employment agency that also enforces employment laws and protects employees from unfair treatment in the workplace – albeit only on the state level. Like with the EEOC, employees who pursue claims through the DFEH can be certain that their claims will be investigated and employers will face consequences if investigations prove that they violated state employment laws. Besides pursuing complaints of retaliation through the EEOC or DFEH (or a state agency in another state), employees who have experienced retaliation in the workplace have the option of pursuing a civil lawsuit against their employers. However, they must first be granted the right to sue from the EEOC, DFEH, or other state agency handling their claim. After being granted the right to sue, employees who have been subject to retaliation in the workplace will be able to file a civil lawsuit seeking damages against their employer. What is the better option in terms of taking action against an employer? Although the EEOC offers a number of protections, state agencies, like the DFEH, sometimes expand on these protections – allowing employees to take action against their employer even though the specific issue isn’t protected by federal law. When pursuing charges through the EEOC and DFEH, for example, the damages available to recover are often limited; therefore, many victimized employees find it more beneficial to pursue civil lawsuits against their employers. Regardless of the action that you decide to take against your employer, you must remember that you have rights in the workplace and that it is illegal for your employer to violate your employment rights. Retaliation is a major part of employment law. The process of taking action against an employer can be lengthy and complicated. Consider the following examples of these cases. In February 217, Christopher Trimble – the director of food services for the Fullerton Joint Union High School District – was terminated. According the Trimble, he was hired in November 2015 and never received any criticisms regarding his work performance until a few months after he was terminated. Trimble was in charge of the food services for seven different high schools, implementing a number of programs to improve food services in these schools. During his time in the position, he noticed that the Fullerton Joint Union High School District was asking students to reapply for subsidies granted by the Free and Reduced Meal Program (a program sponsored by the U.S. Department of Law and the California Department of Education). According to the claimant, Christopher Trimble, the school district was targeting students who had previously applied for meal subsidies with the goal of obtaining more funding for the program for schools in the district. After Trimble complained of the school districts’ questionable actions, he was placed on paid administrative leave (in December 2017) and later fired (in February 17). The school district placed the claimant on administrative leave due to problems with performance – although he had never encountered any complaints against him and his performance in the past. When he was fired, he was informed that his termination was based on the decision to eliminate his position. Trimble sued the school district claiming that his termination was whistleblower retaliation which violated California Labor Code § 1102.5. He sought recovery of lost wages and damages for the emotional distress caused by the termination. On October 23, 2018, the jury reached a decision in favor of Christopher Trimble – awarding him a total of $650,000 – including $129,716 in economic damages (for lost income) and $520,284 in noneconomic damages. On September 16, 2016, Daryl Woodruff, a black man working as an electrical maintenance and construction supervisor for Pacific Gas & Electric Co (PG&E) was fired. Prior to his termination, Daryl Woodruff was suspended (in July 2016) and subjected to a company investigation. According to the claim, Woodruff was involved in a safety investigation in which he found that a non-black supervisor and the rest of his team were falsifying important safety information. Woodruff also believed that this supervisor and his team were claiming to inspect transformers that had never been inspected. Daryl Woodruff properly reported these concerns to the supervisor he suspected, the superintendent, members of the investigations team, and representatives from the Public Utilities Commission. At a later time, the human-resources department at PG&E reached out to Woodruff regarding a race-discrimination complaint against the superintendent made by a lower level employee in the company. Woodruff confirmed that he believed that the superintended gave preferential treatment to non-black employees in the company. On July 8, 2016, Woodruff was suspended and investigated for allegations of falsifying company records. The investigation concluded that although Woodruff might have made mistakes in filling out certain forms, there was no evidence that he had intentionally falsified records. Although the investigation proved that he had not falsified records, the superintendent made the decision to fire Woodruff on September 16, 2016 – shortly before he could interview for a promotion. He was not promoted and/or he was fired because he is black. He was not promoted and/or he was fired in retaliation for participating and cooperating in the racial discrimination investigation against the superintendant. He was not promoted and/or he was fired in retaliation for reporting his suspicions of falsified safety information against the supervisor and his team. According to the details of the claim, Woodruff’s work was scrutinized after participating in the racial discrimination investigation – which eventually led to being subjected to an investigation and being fired. The claimant sought recovery for lost income (past and future), emotional distress, and punitive damages. Although he was denied punitive damages, he received compensation for past lost income, past moving expenses, and noneconomic losses (mental/emotional suffering) for a total of $341,168 in compensation. In August 2016, the plaintiff – John Vidovich, a fire marshal for the city of Los Angeles – was terminated. According to Vidovich, he was removed from his position for reported illegal activities by the Fire Protection Bureau.Vidovich claimed that he was removed from his position to avoid scandal in exchange for $350,000 in political contributions by United Firefighters of Los Angeles (the firefighters’ union). Vidovich filed a lawsuit against both the City of Los Angeles and United Firefights of Los Angeles City for termination based on retaliation for reporting the Fire Protection Bureau’s illegal activities. However, the city claimed that John N. Vidovich was removed from his position as a fire marshal due to issues with his leadership skills – a claim which was supported by the friction between the claimant and the firefighters’ union (and the claimant’s failure to cooperate with the union’s efforts throughout 2015). Information from March 2016 makes it clear that the union had lost confidence in the claimant’s leadership. The defense upheld that asking the fire chief to remove Vidovich or face a smear campaign was not retaliatory. Vidovich sought compensation for emotional distress after the termination ended with 35-yeara career with the city’s fire department. The case settled for $800,000 prior to trial. All of the sample retaliation claims mentioned above resulted in successful outcomes for the claimants. However, two of the cases mentioned above reached successful verdicts in court. The third case reached a settlement outside of court. In all three cases, the claimants suffered negative consequences after reporting questionable activities in their workplace. According to the cases above, two of the claimants had never had any issues in the workplace – which resulted in them being blindsided by termination. The last claimant, however, had constant issues in the workplace, specifically issues with leadership and cooperation. In general, if defendants can prove that they would have terminated employees even if they hadn’t exercised specific rights (such as the right to report illegal activity), they might not be liable for their actions. This case might have settled out of court for this very reason. Although there was definitely retaliation against the claimant, there might have been enough proof for the defendants to prove that the claimant would have been removed from his position regardless. If the case had gone to trial, the claimant might have recovered much less compensation or might have even lost his case. In other words, for this specific case, reaching a settlement before trial might have been the best option for the claimant. You engaged in a protected activity (you exercised a basic employment right). Your employer acted negatively against you. There is a direct correlation between your engagement in the protected activity and the negative action that your employer took against you. Collect records associated with the protected activity in which you engaged. Gather information regarding your work performance throughout your time with your employer (including performance reviews, for example). Speak to co-workers and ask them if they would be comfortable confirming your allegations (serving as witnesses). Gather any HR reports that you made against your employer. Gather any reports that were made against you. Gather information surrounding the income that you have lost and will continue to lose. Speak to an expert regarding your claim for information about the action that you should take against your employer. The most important thing that you should do is to review the employment laws that protect you from retaliation in the workplace. Having a thorough understanding of this information will be essential for the outcome of your claim. Everyone knows that all sorts of claims, such as employment claims surrounding retaliation, could result in recovering compensation. However, there is no set value that is associated with these types of claims. Before deciding to take legal action against their employers, many victimized employees seek information regarding the type and amount of compensation that they could receive upon reaching a successful outcome – considering that taking legal action sometimes costs more than claimants could recover. The main factors used to determine the potential value of your claim include the following: the income that you lost and will continue to lose due to your retaliation and/or termination; the benefits (work-related) that you lost as a result of your retaliation and/or termination; the industry in which you worked; the average income that you earned; the way in which your termination affected you mentally and emotionally. Lost income – for all the income that was lost and will continue to be lost due to the retaliation that led to termination. Lost benefits – for all the work-related benefits lost due to the retaliation that led to termination, including health insurance, life insurance, and other benefits, for example. Pain and suffering – for the mental and emotional distress caused by the retaliation and termination suffered, including depression, anxiety, and embarrassment, for example. Punitive damages – awarded for to punish the defendant and deter similar incidents with other employees from reoccurring. Without a doubt suffering retaliation in the workplace that eventually leads to a termination could create a financial strain for unsuspecting victims. Pursuing a claim and fighting for your right to recover compensation could help you and your family to overcome some of these financial difficulties. Although there is no guarantee that you might recover compensation if you pursue a retaliation claim against your employer, you should explore the possibility of exercising your rights and taking action against your employer. All claims are subject to statutes of limitations – deadlines that ensure that claims are filed in a timely and efficient manner. Statutes of limitations prevent claimants from sitting on claims for too long and prevent defendants from facing claims that arose from incidents from which they have no recollection, for example. Although most claims are subject to just one specific statute of limitations, employment claims are different. Employment claims are usually more time sensitive – specifically because employment claims have to go through employment agencies such as the EEOC and DFEH. Charges with the EEOC must be filed within 300 days (180 days in states without state-level employment agencies). After being granted the right to sue from the EEOC, claimants will have 90 days to file their civil lawsuits. Charges with the DFEH must be filed within 1 year. After being granted the right to sue from the DFEH, claimants will have 1 year to file their civil lawsuits. It is vital that claimants are aware of the deadlines that apply to their claims. More specifically, claimants that fail to begin their legal action against their employers before the deadline applicable to their claims are likely to lose their right to take action. Because of that, it is essential that claimants are familiar with the strict deadlines that apply to their claim and the importance of acting with urgency. If you suffered retaliation in the workplace that resulted in your wrongful termination, you should seek legal assistance as soon as possible. The employment experts at Downtown L.A. Law Group have the expertise required to effectively handle your claim. If you would like more information regarding your rights to take action against your employer after being retaliated against, do not hesitate to contact our law firm to discuss your current situation with our attorneys. Our free consultations, free second opinions, and strict contingency structure – which are all part of our Zero-Fee guarantee – will ensure that you have access to the guidance that you need without having to worry about legal fees. Do not hesitate to contact our law firm today.